All you need to do is look stunning and have fun - let me do the rest. You and your wedding photographer need to be a match made in heaven. Come and see me at The Wellington Wedding Show! Sunday 1 May, TSB Bank Arena, Wellington. I've only got a little stall. But I'm thinking it's all about quality not quantity. It'll be pretty mad that day, but I'd love to say hi, and we can arrange to meet up the week after for a good old natter. See you then. 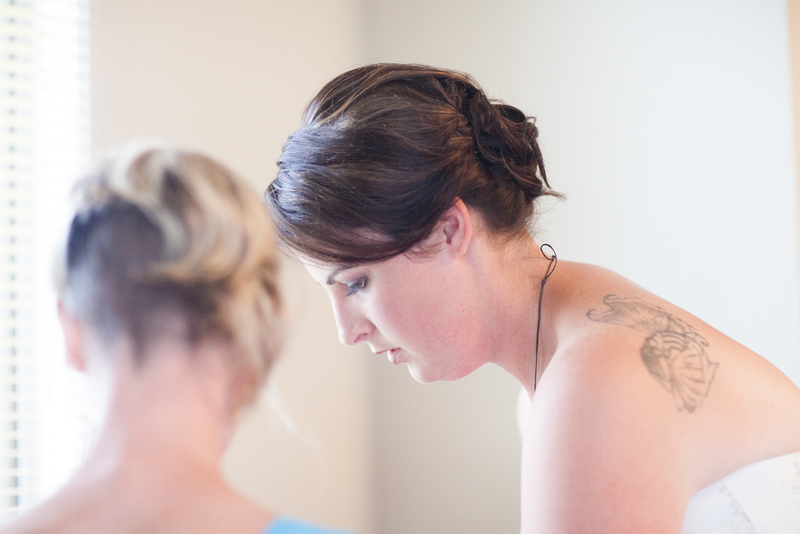 Lovely Kapiti wedding photos - because everything was gorgeous! Laura is such a real and genuine person and we got on really well. I could hear her reservations about wedding photos and listened to what they both wanted on the day. They wanted lovely photos but didn’t want to make a big deal about everything. She wasn’t even sure if she wanted a photographer there when her and her bridesmaids were getting ready. Part of my job as a wedding photographer is to make people feel comfortable with the whole photo thing, especially when that doesn’t come naturally for them. Some people are very okay with being a bit of a star on the day, and being comfortable being semi-intimate with a photographer, but a lot aren’t’. Couples need to be themselves and have their photos reflect that. I usually tell people to ignore the glossy images they’ve seen, and that every wedding is totally different and a good photographer will respond to that. So I wanted to not only capture their gorgeous day by taking relaxed and real wedding photos, but I wanted to take care of her and Ben. Ben gave me this great comment when we met for their rehearsal. I love it! So we concentrated on the wedding party having fun, Ben & Laura being natural with each other including lots of fun, lots of candid’s of family and friends and especially the kids on the day. They wanted a gentle capture of their day, not a posy one. I loved taking photos at Ben and Laura’s wedding day because they are a genuine and very in love couple. CHURCH: St Margaret’s in School Rd. My favourite little church. THE NOT-SO-FORMALS: Te Horo beach. After a stormy few days, the sun came out! RECEPTION: Ruth Pretty’s place - Springfield - Te Horo. My new favourite wedding venue. I’d never taken photos at Ruth Pretty’s place – wow – it’s totally amazing. She basically opens her house up for a wedding and her team serves really tasty, wonderful food on the premises. There are stunning gardens and cool little spots between trees for photos and a cute tea shed for photos in case it rains. Her staff are professional, very friendly and make things easy. What made this an extra special wedding was that Laura’s Dad, Ian, is the minister at St Margaret’s Church. He’s always been my favourite minister. He’s a lovely, genuine person who facilitates some of the most genuine and lovely ceremonies I’ve ever photographed. After I’d finished taking photos I walked away with the fabulous feeling that I often get after being part of someone’s day: a feeling that I’d connected with a wonderful bunch of people, and being grateful that they’d trusted me with their day. Thank you Laura and Ben for choosing me to be your wedding photographer. We were a wonderful match. I know you guys are going to be so very happy. Read what Laura & Ben said about me here. View their wedding photos here. Want to chat about making gorgeous photos for your wedding, contact me now? Click on this image to see another one.